Clear Waves / RF Spectrum Analyzer & Frequency Coordination is a “game-changer”. Clear Waves is the wireless pro audio industry’s first product that includes both realtime RF spectrum analysis and intermodulation analysis. 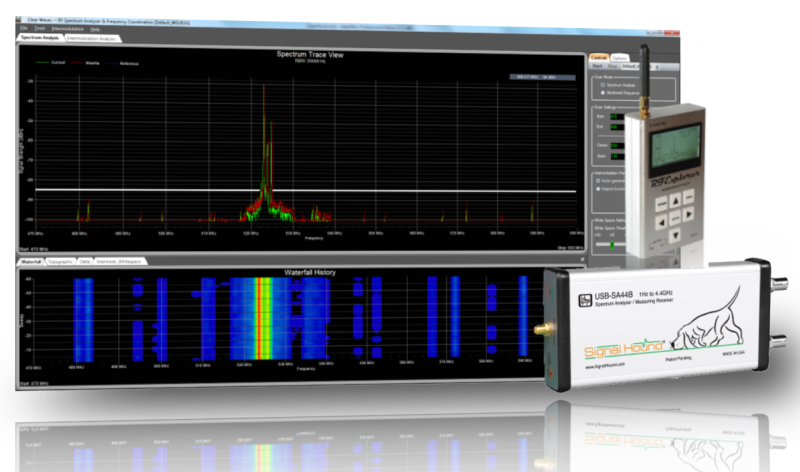 Clear Waves is the next generation of PC-based, RF analyzer for the wireless pro audio and video industries, offering performance and features not available in any other product — such as monitoring and detecting RF interference, intermodulation analysis, automatic charting of open white space, frequency coordination and channel assignment.